The Sokoke cat (aka Kadzonzo) was discovered by Jeni Slater in 1978. Mrs Slater, a wild-life artist and horse breeder lived on a coconut plantation near the Arabuko-Sokoke Forest in Kenya. (This coastal rainforest is believed to be the largest of its kind left in Africa and hosts a number of indigenous and endangered fauna and flora). Mrs Slater's gardener found a mother cat and her kittens in the hollow of a tree trunk in the garden and brought it to the attention of Mrs Slater. She immediately noticed that these cats were different from the street cats she was accustomed to seeing. These unique and unusual cats were tall and slender and their coats had blotched markings with ticked areas on the inside. In some respects, their coats resembled a marbled tabby and the blotches gave the illusion of been 'hollowed-out'. The local street cats of Watuma tended to be of cobby-type and they had spotted tabby coats. Mrs. Slater knew they had discovered something special which needed to be preserved. She decided to 'adopt' 2 kittens from the mommy cat which she hand reared. 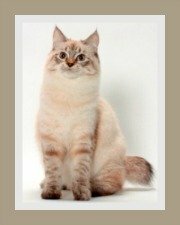 To honor the place of their birth, she named the cat breed - Sokoke. The local Kenyans of the Giriama tribe described these cats as 'wild cats' from the nearby Arabuko Forest and added that these cats were 'sweet to eat', indicating that these cats were a common source of food for the locals! Her interest in these cats grew and she was determined to preserve them for future generations. Mrs Slater's husband was a professional fisherman which proved to be a great help when it came to raising the growing numbers of her special Sokoke cats and kittens! In the early 1980's, the now late Mrs Gloria Moeldrup of Denmark visited the Slaters in Kenya. She too recognized the uniqueness of these cats and was equally concerned about the long term survival of the Sokoke as their natural habitat was under threat and over-population could result in many of these cats been consumed! 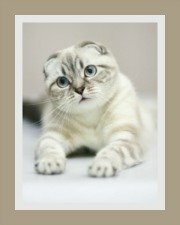 In an attempt to preserve and develop this cat breed, a breeding pair, 'Jenny' and 'Mzuri' were sent to Denmark in 1983. The first Sokokes were shown in Copenhagen in 1984. 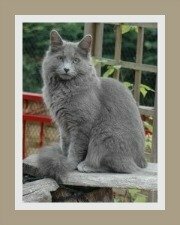 In 1985, 'Jenny' and 'Mzuri' produced their first litter of Afro-Danish Sokoke cats. 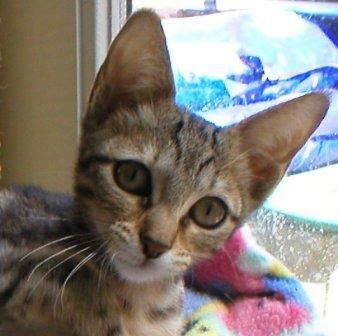 To further strengthen the breeding stock (or gene pool) additional Sokoke cats were imported from Kenya in 1990. There has been much speculation as to how the Sokoke cat came to live in the Arabuko-Sokoke Forest. One clue lies in their coat pattern. This unusual blotched tabby pattern may indicate that they descended from the Wild African tabby. The anthropologist, Dr Richard Leakey (the son of Louis Leakey the world renowned archaeologist and naturalist), suggested that the Sokoke may be descended from the Taita Wildcat which is a branch of African Wild cat. Some people believe that the Sokoke is not a wild cat, but a domestic cat. Kenya was a British colony and it is believed that the British settlers had domestic cats which were allowed to roam free. In order to survive their coats evolved to provide camouflage in the African bush. This suggests therefore that the Sokoke is domestic cat that became wild. Whilst doing our research on colonial Kenya, we thought of another possibility. The Portuguese were in fact the first to establish trading posts in Kenya. 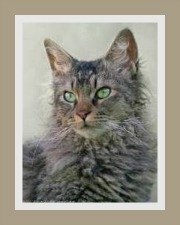 Is it possible that their ships cats (which could have originated in India or the Far East) could have been the source of these domestic cats and ultimately the Sokoke? Just a thought! Apparently, the Feline Genome Project recently conducted a study that indicates that the Sokoke is a domestic cat and not a wild cat. We have searched various references regarding this; we are unable to find where this is documented. 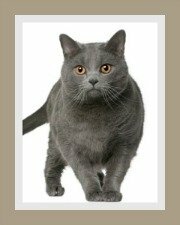 Nevertheless sources say that the cat shares its genetic material with the street cats of Coastal Kenya and the cats of Lamu Island, which is part of the Lamu Archipelago of Kenya. 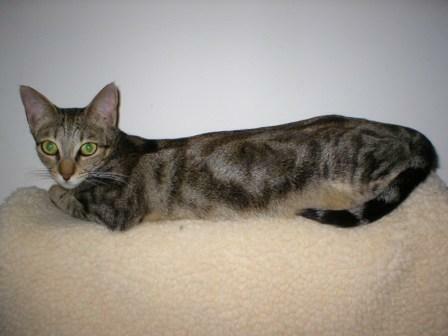 According to the Feline Genome Project, Sokoke cats belong to a branch of the Asian Cat Breed Group. It also suggests that they are descended from the Arabian Wild Cats. 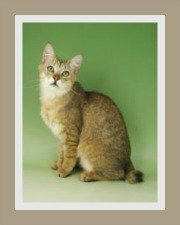 What is certain is that the Sokoke cat is a rare cat breed and a naturally occurring cat breed. Man played no part in its development. They were free-roaming cats, wild or domestic, they were self-sufficient. The Sokoke was accepted by FiFe in 1993 and holds Preliminary New Breed Status with TICA. The first Sokokes arrived in the United States of America in 1998. For many years it was believed that these cats were extinct. In fact for many years none were found until 8 cats were discovered in 2002. It would be safe to say that very few 'wild' Sokokes can be found in Kenya. During our research we found all these names: Sokoke, Afro-Danish Sokoke, Kadzonzo, African Shorthair, Sokoke Forest Cats - different names, but the same cat!